Have you been wondering if you have to wash your hair every day? Some people love the feeling and the smell of their hair after washing, but is it a good idea to wash your hair every day? Some people lead to believe that it is not a good idea to wash your hair every day. It should really only need to be washed when it needs to be washed. The natural oils in your hair are good for the hair and the more you wash your hair, it can cause an imbalance in your oils. Having the proper shampoo and other products for your hair will also be a great way to determine how often you should wash your hair. If you have the correct shampoo, you will not have issues with drying out your hair or making it more brittle and breakage will not occur as often. You need to train your hair how often it needs to be washed. If you tend to have hair that is greasy, you may have to wash it more often. For greasy hair, it tends to need to be washed about every other day. Unless you do not mind the greasy look. If your hair is greasy, make sure you get the proper shampoo for greasy hair and then you might be able to go longer without having to wash your hair. If you don’t want to wash your hair as often you can also use a dry shampoo between using shampoo in the shower. With the proper products for your hair will allow you to wash your hair less often than you normally would. If your hair tends to be on the dry side, you may need to shampoo it more often. You will want to get a moisturizing shampoo for your dry hair and wash it when you feel the need to wash it. If your hair is always dry, washing it frequently can actually dry it out more and make it more likely lead to breakage. If your hair is dry you should really only wash it once a week if that. If you like to wash your hair every day and it is dry, make sure to use the proper shampoo and some conditioner that is for dry hair to keep it from getting any dryer. 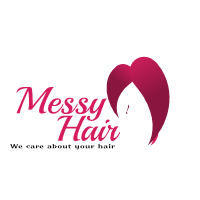 If you have healthy none greasy or hair that is not dry, you can wash your hair whenever you feel the need to wash your hair or even if you want your hair to smell fresh and clean again. It is best to go as long as possible without washing your hair in order to keep it healthy. Having the proper product for your hair is a great help in how often you should shampoo. I mean if you have healthy hair, then you are already doing something right already. It is best to go about every 2 to 3 days between washing your hair. The longer you go without washing your hair will train your hair to adapt to being washed less and produce less oils in your hair. If you have the proper shampoo, you will not need to wash your hair every day or even feel the need to wash your hair every day. For a person with thick hair, it may take longer to get dirty and gross to the point that you feel you need to wash it. I personally have thick and greasy hair and feel the need to wash it about every 2 to 3 days before it starts to get that look like I haven’t showered in a while. For people with thin hair, it is still the same routine, it is best to wash every couple of days. If your hair is thin and you are washing it every day, you will have a problem with it getting dry and brittle and then breakage will happen. You do not want that to happen when you already have thin hair. Again, having the proper products for your hair will help in aiding in the number of times you have to wash your hair in a week. Read next: What is porosity hair? There are many factors to how often you should wash your hair. Is it thick and greasy, thin and greasy, thick and dry, thin and dry or healthy? Either way, your hair combo is you will still only want to wash it every couple of days. The longer you go without washing your hair, the better it will be for your hair in the long run. It is definitely a personal preference on how often you want to wash your hair. Some people have to wash it every day, maybe they like their hair to smell clean and freshly shampooed. Some people can go a couple of days without washing their hair and have it still smelled clean. The best way to judge how often to wash your hair is by trial and error and making sure you have the proper products for your hair. If you have the proper shampoo for your hair type, you will not have to wash it as often. Everybody will have their own opinion and that is ok, only you know your hair and what you feel comfortable with how often you wash your hair. Trial and error will be the only true way to tell how often you wash your hair. It will be a great way to see what you and your hair are capable of. Hopefully, this will give you the answers you need to figure out how often you should wash your hair.